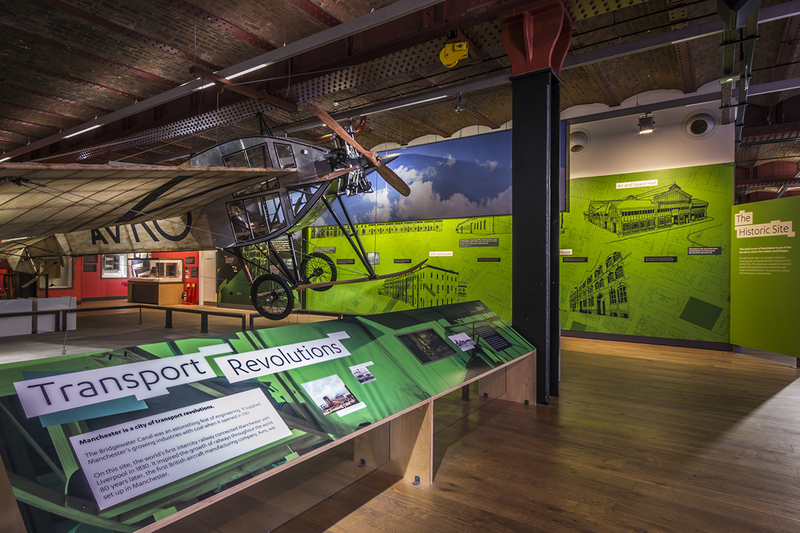 The brief for this project was to rejuvenate the existing Revolution Manchester Gallery to create a more informative and coherent exhibition experience. 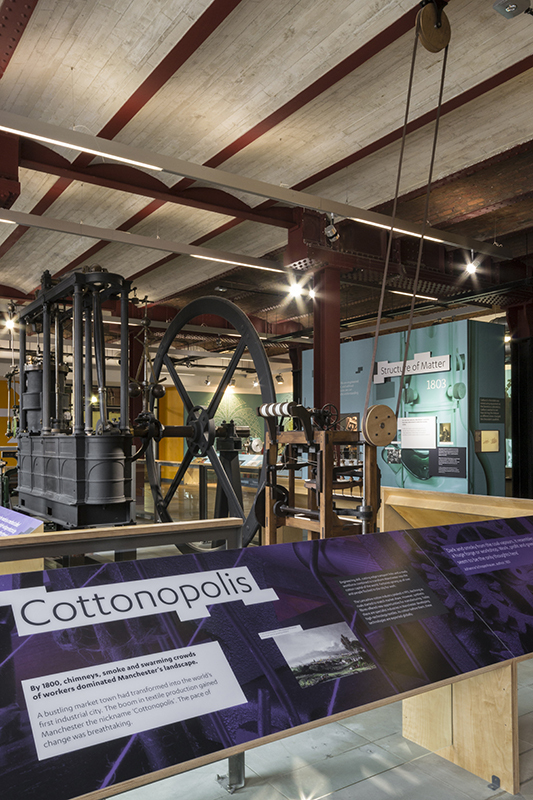 We added an Introduction panel to direct museum visitors to the start of the exhibition which would help them to follow the information coherently. We removed the original exhibition’s large graphics panels that obscured the exhibits and blocked sight lines. 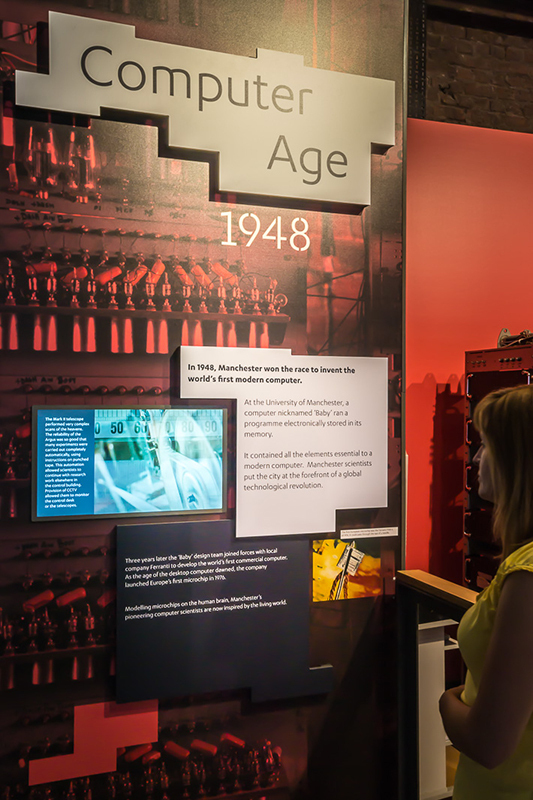 By replacing these with low level displays, more of the exhibition is revealed and the visitor’s visual experience is enhanced. 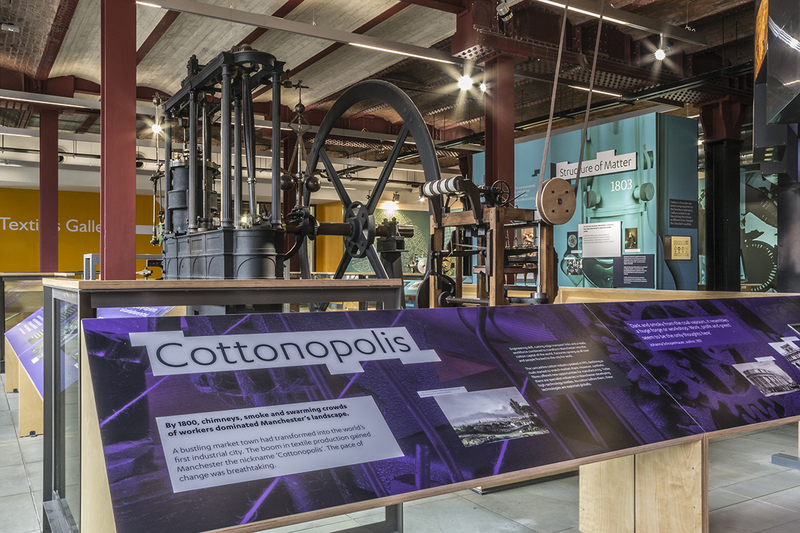 As more of the exhibition is initially visible, guests are more likely to explore the full gallery or identify a point of interest immediately and therefore each and every visitor is able to experience the new gallery space. 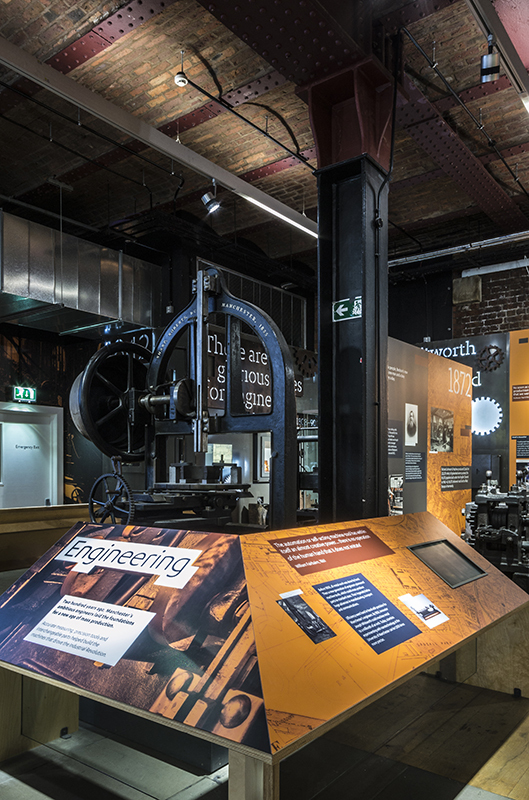 Our alterations to the gallery have improved visitor engagement, exhibition accessibility and have created a clear and natural flow through the gallery space, all of which enhance this exhibition.